Who would have thought that there is a desert in a tropical country like the Philippines. When one thinks of sand dunes, what often comes to mind are the sand dunes in the Middle East or Africa. Of course, the sands associated in the Philippines are those located in or near the shoreline. However, the sand dunes of La Paz, Laoag City, Ilocos Norte are not used for sun bathing. They are used for recreational activities like sandboarding or off-roading. Sandboarding is not as dangerous as snowboarding since there is no danger of an avalanche and landing on a rock or getting injured by it is highly remote. The hazard an enthusiast may face could be limited only to a minor injury such as breaking a leg, literally, or getting sand on one's eyes. Sand storms are also unheard of in this part of the planet. For others who aren't up to sandboarding, off-roading may be an alternative. All terrain vehicles or 4 x 4 vehicles can be rented from some enterprising individuals in Laoag. They may also be available for rent in some hotels and resorts. Off-roading is not as easy as it seems, especially since you'll be driving on sand. Driving on sand means a soft and slippery terrain, therefore, you have to be familiar with angles and ensure an increasing momentum when you go uphill. The sinking belfry of Laoag. 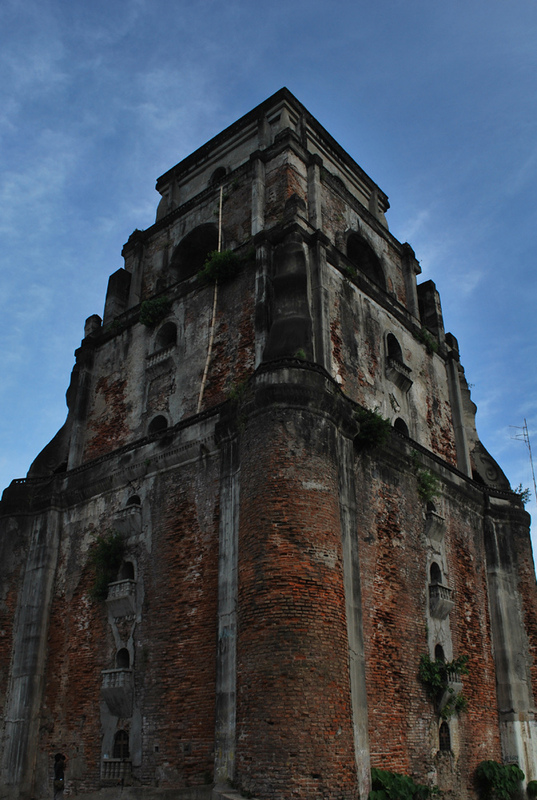 Aside from its geological treasures, Laoag City is where you can find the sinking bell tower. The tower is literally sinking because it was built on sandy soil. When it was built in the early 1600s by the Augustinian friars, a man astride a horse could comfortably enter its portal. Now, however, a man needs to crouch to enter the structure. The belfry is of baroque architecture, made of bricks and lime stucco plaster. It stands alone but is actually part of St. William's cathedral, which is several meters away from the belfry. The cathedral has undergone several renovations due to typhoons, earthquake and fire. Culture-wise, Laoag City still has several calesas (horse-drawn carriage) plying its streets. It's museum -- which showcases the industry, lifestyle, arts and fashion as well as the history of the province and its inhabitants -- is housed in a former tobacco warehouse. In fact, the tobacco industry is marked by a Tobacco Monopoly Monument. This monument specifically commemorates the lifting of the mandate for Filipinos in the Ilocos region to plant only tobacco. Likewise, the Ilocanos' (as what the local populace is called) culture can also be felt through the inabel, a woven fabric. It can also be savored through bagnet, or deep fried pork's meat, similar to chicharon. Then there's sukang Iloko, a sugarcane-based vinegar. You can also find dinengdeng served on the dining table -- a soup made with string beans, okra, squash and fish, seasoned with spices and flavored with bagoong or fermented fish/shrimps.